Tonight's dinner is all about keeping it simple and this dish is as easy as can be! Toss some chicken breasts into the crock pot and top with bbq sauce, root beer, and bacon. 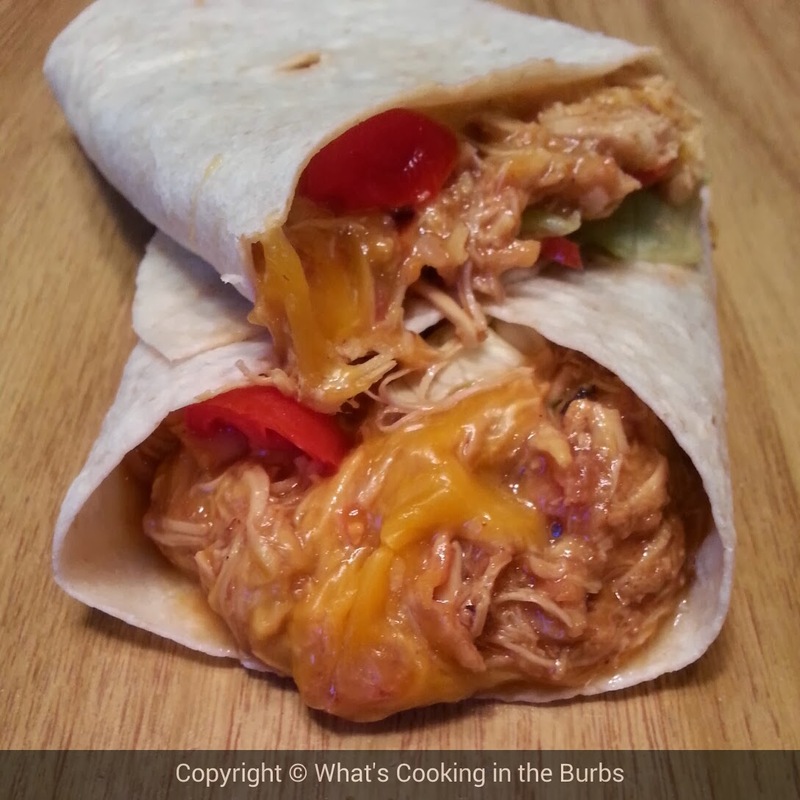 Top with some cheddar cheese and spoon into wraps. Cheesy, BBQ, Bacon goodness! Arrange chicken in bottom of crock pot. Add in liquid smoke, root beer, and bbq sauce. Cover and cook on low 3-4 hours. About 30 minutes before serving shred chicken and add in the bacon bits and shredded cheese. Continue cooking until cheese is melted. To assemble: Evenly spoon chicken down the center of the tortilla. Add in the tomato and lettuce. Tightly roll up to secure filling. Cut in half and enjoy!